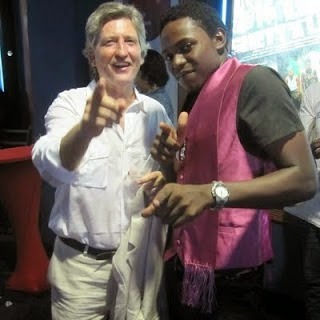 SCREEN TEST: The director, with actor O'Daine Clarke at the film's Carib Cinema premiere in 2011. What have you been up to since Ghett’a Life blew up internationally and made you a highly rated and award-winning filmmaker? Chris Browne: I have a story that I wrote when I was at film school 25 years ago, and it was always a bit excessive to make it. People wanted to option it, to make it, but the budget was very small. I didn’t think it would have been a good film on a small budget. So now I’m kinda focussed on it, trying to get it made. C.B. 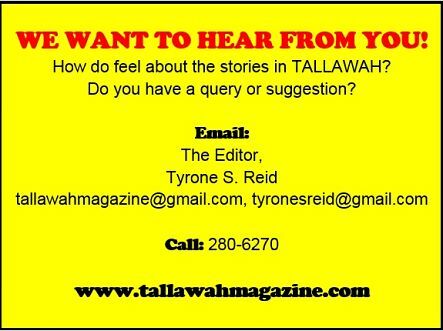 : It’s called Tenth and Final, and it’s about horse-racing in Jamaica. It’s a love story about rural Jamaica come to Kingston; a young man trying to win the derby but he’s in love with the farmer’s daughter. I think it will cross over internationally in terms of the subject matter, so that’s what I’m particularly focussed on achieving with the project. Given the success of Ghett’a Life, do you feel pressured to live up to any expectations when it comes to doing subsequent projects? C.B. : For me, every film has its own appeal. It’s like a painting; everyone is different and carries different emotions for different people. Tenth and Final is the story that I wanted to make initially but I got to Kingston and got sidetracked by different things. And technology is such now that I can make a better film for less with the new technology that is out there. How do you divide your time when you’re not calling the shots on a film set? C.B. : I work doing commercials and music videos otherwise. And when I’m not doing that I’m trying to write and create other projects. I always want to make another film because there are so many ideas out there. Whenever you press pause to assess the creative journey you’ve made up to this present moment, how do you feel? C.B. : I am very happy and I feel very lucky to have been able to make a couple of movies in Jamaica because it’s not easy to make films here. Just to raise the money in this economy alone is a tough challenge. But I’m happy that the audiences enjoy the work that I do and I’m hoping I can one day find an even wider audience.